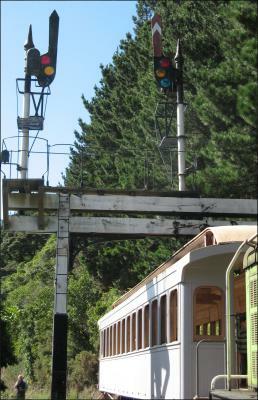 Passing the Silver Stream Railway's signal gantry . Passing the Silver Stream Railway’s signal gantry on the way to McKirddy station. Passing the signal gantry on the way to the station.